Barrier effect: anti-oxidant, anti-scratch and anti UVA rays. High resistance: they do not crack, are resistant to water and oily elements. 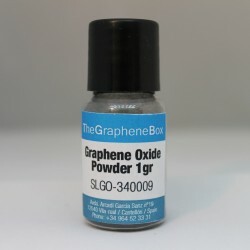 They provide electrical and thermal conductivity. 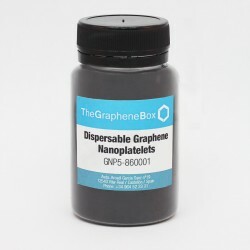 Solar paints, capable of absorbing solar energy and transmitting it into housing thanks to its formulation with Graphene Nanoplatelets. Sealant paints which prevent the passage of electromagnetic waves. Paints that keep heat inside the home. Coatings that turn a normal wall into an interactive screen, although this is still under study; it is one of the most promising applications of graphene. Scratch-resistant and antioxidant coatings that are used in all kinds of steel products and structures, but excels in ships, bridges and civil engineering of structures exposed to the sea. Anti-fog coatings and UV ray blockers for windows. Anti-bacterial coatings that facilitate the cleaning of kitchen cabinets and countertops. Non-stick paints that improve the characteristics of Teflon. High performance adhesives thanks to the high adhesion property. Paints and coatings There are 5 products. 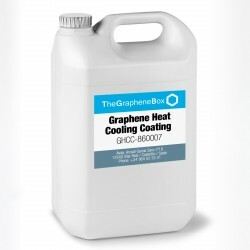 Varnish functionalised with graphene that dissipates heat from surfaces. 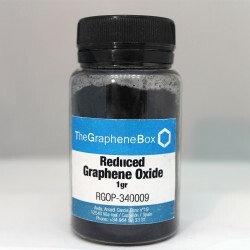 One of the main features of graphene is that it is a good thermal conductor, resulting in fast and uniform diffusion of heat across the surface, which dramatically reduces the temperature. 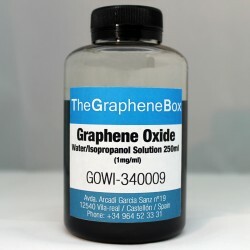 Graphene Oxide in an aqueous and Isopropyl Alcohol dispersion (1:1) with a concentration of 1mg/ml and a capability of 250ml, also customisable to customer needs.